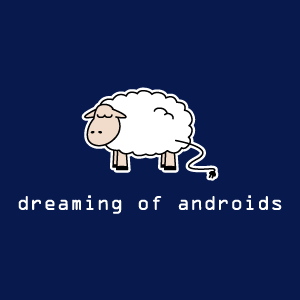 Dreaming of Androids T-shirt is available from the XKCD store. The blog of the dude who paints Obama naked on unicorns. It'll all make sense when you see the picture of Obama with a pancake on his head. There's no need to thank me. I know.